Got a handicap question? 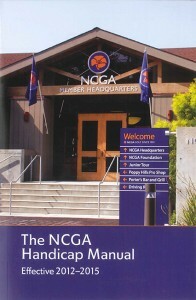 Ask the experts at the NCGA! Have a question on the USGA Handicap System you want answered? Have an argument that needs to be resolved? Did you get “sandbagged” last weekend and want to know what you can do about it? The NCGA wants your assistance in providing more information on the USGA Handicap System. Put the NCGA’s handicap experts to the test. Submit your question/situation below or by e-mail and receive a quick answer. More information on handicapping can be found in the USGA Handicap System manual.